Children always have a great deal of fascination and love for trains. Seeing a train would trigger a child’s eagerness to ride them or at least play with them. On the other hand, children also have the same feeling towards cartoons or animated series. But you can never be so sure if a television show would give the same amount of fun and learning benefits like with a train toy. 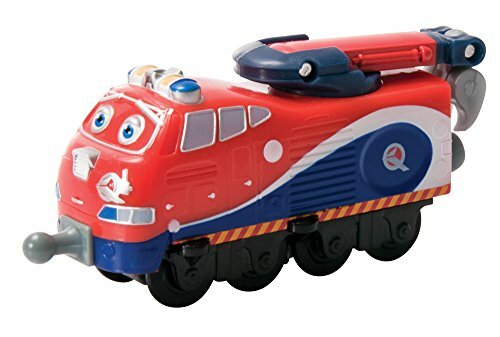 Fortunately, there is train toys made available for you that resembles Chuggington characters, inspired and created from the famous animated train series. Train toys are inspirational. They can strongly build a great childhood foundation and create a path towards a successful and healthy life. It is actually considered one of the most educational tools that aids in the development of young minds. It can greatly improve their set of skills such as object/shape and color identification. The toy can also enhance their physical and logical skills. In relation, a train series also holds at least the same set of child development perks. Combining the two into one toy would create a non-violent, imaginative and creative play style which can entertain and inspire your kids for a long time. Below is a List of Chuggington Train Toy Characters readily made available for you! There is actually a long list of products you could search and choose from but we have taken a step to provide you with a list of products that have made it to the top. These products are either best-sellers, have good product ratings, upright reviews, positive feedback and high recommendations. The list is also based on other criteria such as durability, features, price, toy age recommendation and more. Our initiative to provide you the best and high quality train toy products hopes to assist you in your search and would lessen a great deal of effort in looking for the most viable train toy set product. 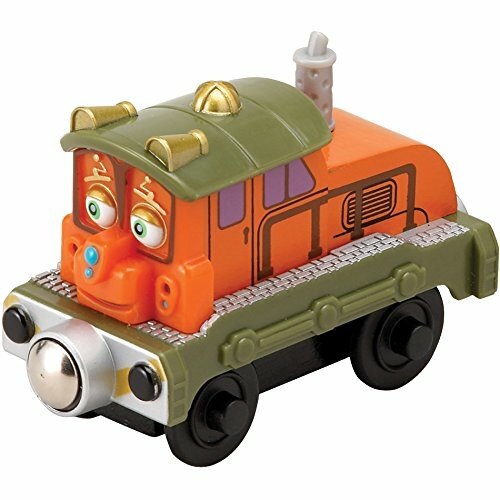 This toy features Frostini, one of the well-known train characters in the animated train series portrayed in a train toy. It has realistic and detailed design, color and decoration. 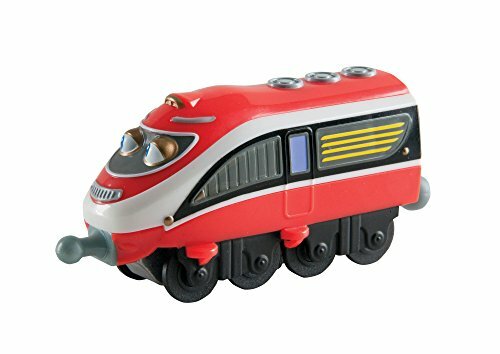 The train toy is made of die cast, plastic and metal construction. 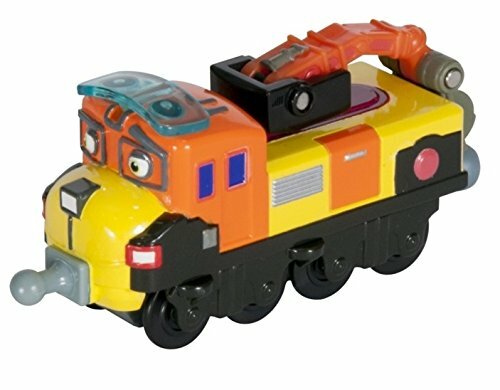 It does not have magnetic couplings like with the wooden set, but it can connect with different Chuggington StackTracks. The toy has great and close to perfect ratings. It is very durable and can run through stacktrack railways perfectly. The next on the chuggington characters list would be Wilson. 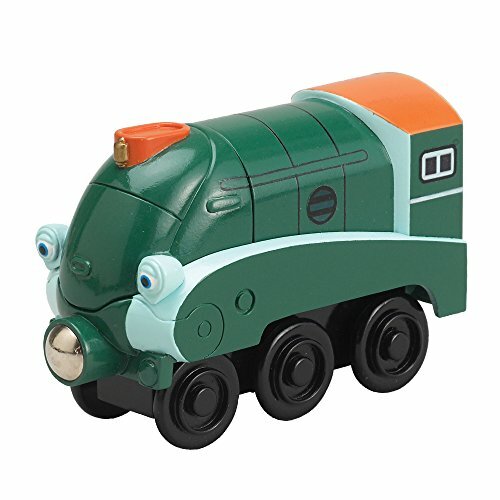 This toy train features Wilson, a beloved character in the series. The toy is neatly colored with red and nicely added details. It has realistic decals and sturdy and secures couplings at both ends to make connectivity much easier. It only costs a few amount and is way along the line of your budget. It can withstand a beating of a child or a rough play. The train toy is very strong and reliably sturdy. 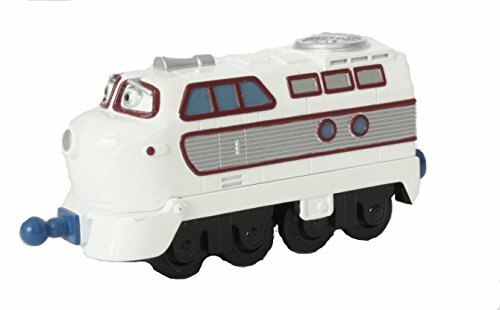 Only a few of this amazing, white colored chuggington trains characters left in stock. It is a nice piece of Stacktrack toy to be collected from Chuggington. You can try to extend the train fun of your kids buy adding some train cars to the set. This one is made from durable and strong die cast materials. The toy is designed to fit and go smoothly on the stacktracks. It can be connected with other stacktrack train toys. This is Tyne.Tyne the toy train is one from many chuggington train characters. The train toy has a lovely stripe design and has comprehensively amazing details. This is different from stacktracks. The toy is made from real solid wood construction and has magnetic and metal couplings installed at the ends. This is a toy recommended for toddlers of age 2 years and up. It can connect with popular brands of wooden train toys and is compatible with wooden railway track systems. Koko is well-known and famous name among the many chuggington characters names. This toy is very much cheap and affordable. You can easily purchase it without exerting too much pocket effort. The toy maintains its credibility in terms of quality, durability, design and sturdiness even thou it comes on a lower price. You can also connect this toy to other slacktrack trains from chuggington, a great Koko toy to be added in your child’s collection. The next in the many chuggington trains characters would be Zephie. This Zephie toy train is made of real wood. It has a shorter length. The train toy is not an engine train car. It is ideal to be just an alternative train car to extend your child’s imaginative play and add more options to his or her wooden train track layout. It is recommended for children with age 2 years old and up. It has easy-to-connect metallic and magnetic couplings for an efficient connectivity. 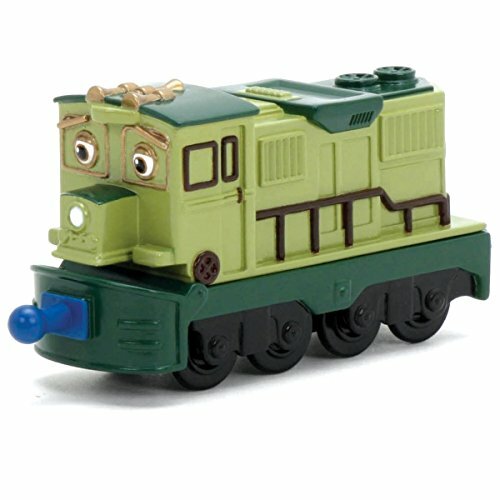 Here is Old Puffer Pete, also a character in the Chuggington collection. The toy is crafted amazingly from wood. As seen in the picture, the level of craftsmanship gave a very neat and elegant aesthetics of the train. The pain used also boasts the train’s appearance. 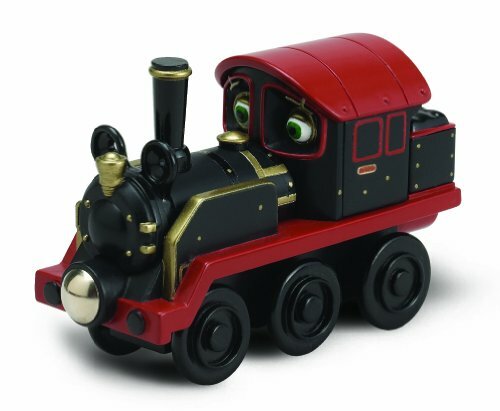 The shiny red, black and gold combination and the smooth finish made the wooden train expensive but fortunately, it is very affordable. 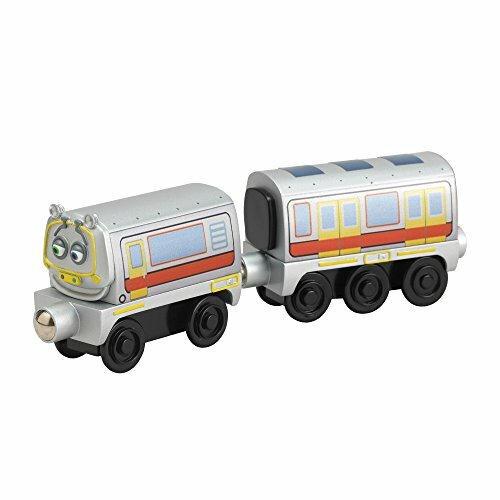 Another great chuggington train characters from TOMY. The toy is actually a passenger car that comes into two pieces. Each piece has an easy-to-connect magnetic coupling at the end for easy connection. The train pieces runs smoothly around a wooden train tracks given that it has standard size like with most leading or major brands of wooden railway tracks such as Brio or Thomas and Friends. This one is a fast looking, cool train. 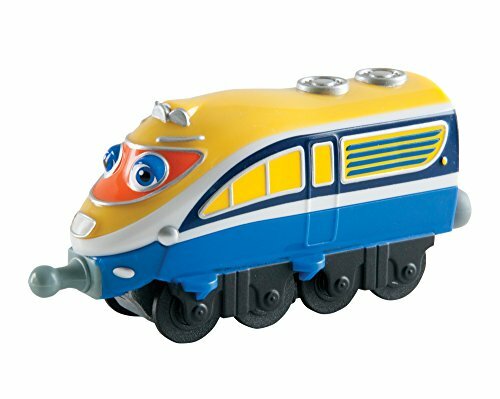 The two pieces, blue chuggington train is Chug-A-Sonic Hanzo. It is technically a bullet train with wheels made from hard and durable wood. Both the train engine and the train car are crafted sturdily. 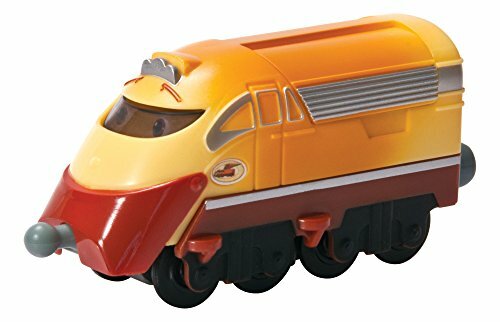 You can have this as a great train toy set for your kids or have them, added this simple but sharp looking train to their collection. The wooden toy is great for toddlers or for a kid having an age of 2 years old and up. Like with the previous one, this is Old Puffer Pete. It has a slightly long length compared to the previous wooden Old Puffer Pete. The train toy is compatible to other stacktrack trains and tracks. This is made from strong and high quality die cast materials with a life-like decoration and details. There is a secured couplings installed at the back and the front of the train. As most Chuggington toys, this one is also easy on your budget. Below is a video of Old Puffer Pete’s celebration. The video features some other chuggington trains characters as well. 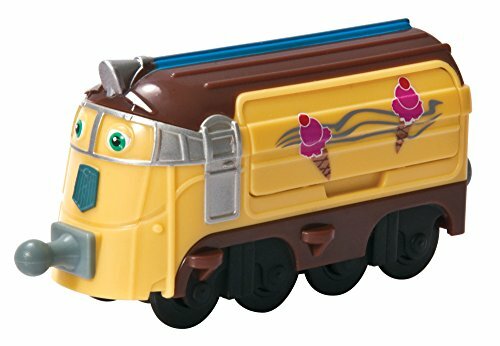 Chuggington train character collection are very much attractive to kids. It has faces printed on them and usually built in bright and vibrant colors. There is only a number of this chuggington train characters left on the market. If you want this to be added in you or your kid’s collection, you better order one now. Chugineer Zack is crafted from strong and hard wood. It is compatible with most wooden railway sets as there are easy to use magnets installed the the front and the rear part of the train. It is one of the favorite train characters from Chuggington. This wooden toy train is great for ages 2 years old and above. A best-selling and good rated product from TOMY, this is Skylar. It is a stacktrack toy that features Skylar, a loved train series character from Chuggington. Skylar is made from die casts materials. TOMY uses high quality metal, plastic and rubber to create Skylar. There are tight and secured front and rear couplings installed to allow you to connect it fast and efficiently to most stacktrack trains. The sturdy and stable wheels are also compliant with stacktrack railway systems. 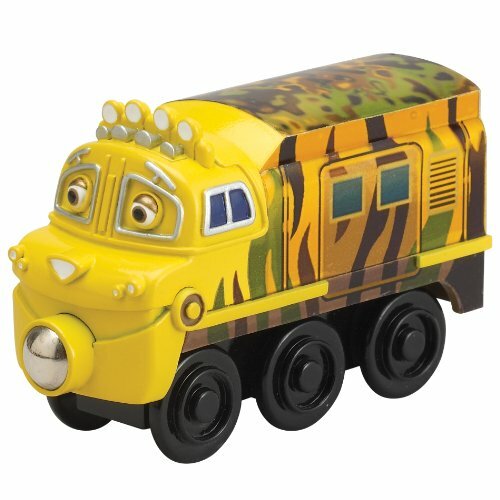 This is Mtambo, a bright and safari designed chuggington trains characters. This Mtambo train toy is built from reliably strong wood that could last for generations. The wheels are also a perfect fit with most wooden railway tracks from major brands. All of Chuggington wooden toys are highly affordable. It is actually a great kind of toy collection as they can both be used by kids for play or by adults for decorations. There is quite a long list of chuggington characters. This one here is Piper. Piper is a small train car crafted from wood. This train toy here is used and compatible with wooden railway trains and tracks. It has a nice and comprehensive details and a fun color combination of orange, green and pink. it is not ideal to be a lead train engine car due to its size but it is a perfect alternative train car or a good option in adding some creativity in your kid’s train set layout. Meet Hoot and Toot. Both are a pair of train cars inspired from the actual character of the Chuggington animated train series. It is a stacktrack train toy made of die casting materials. Hoot and Toot is perfectly designed with the necessary details based on the show. The decorations are close to realistic. It has a durable and strong front and rear plastic couplings to provide compatibility with other stacktrack train toys. 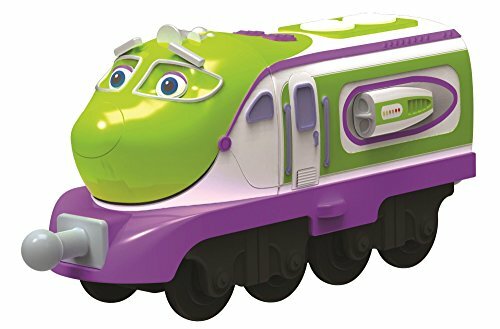 All of the products in our list are chuggington characters with pictures so you could easily identify what train character the product is and how well the aesthetics and designs look. This here is Fletch. It is a train engine car made with reliably durable and sturdy construction. This would be a great chance to try and collect your children’s loved Chuggington characters as it is very affordable and cheap. It is a great way to expand their stacktrack collection. This is Irving. The train has great details but it is not actually that catchy as it is a supporting character in the series. It may not be a great or ideal head train car for your child’s stacktrack but Irving can actually be a great train car to expend the length of your train set. It can also work out to be a decorative train on your kid’s train layout or a good collectible as most stacktracks are great as souvenirs or gifts. 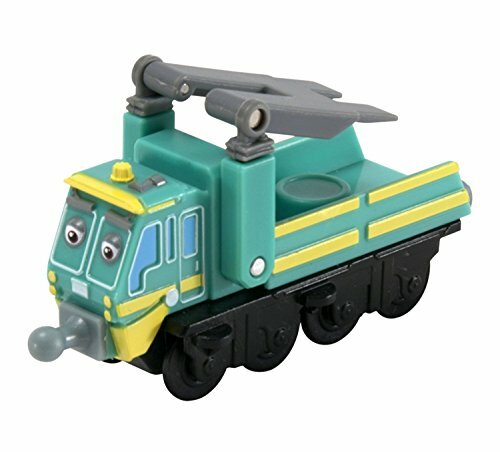 Here is another chuggington characters toy from TOMY. This is Brewester. The set comes in two pieces, one is Brewster and the other is a digger or digging car. Both can connect easily with each other and is also compatible with other stacktrack train cars due to its durable plastic made couplings located at the front and the back of the train. 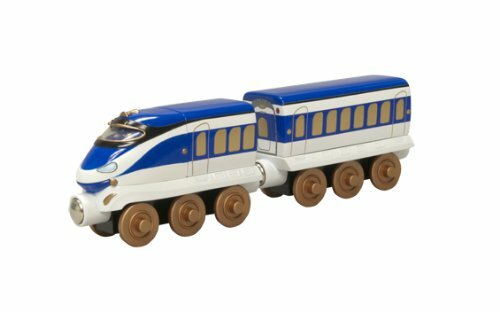 Although it comes in a set of two, the price is actually comparable with other train cars from TOMY. It maintains its high quality features while being cheap and affordable. 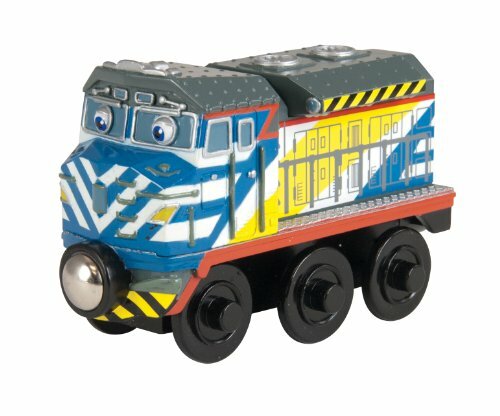 Jackman is one of the sweetest looking trucks in the Chuggington toy character collection. The size of this train toy is fairly large compared to regular die cast train toys from TOMY. The design is strong looking and very sturdy. This toy won’t really cost you much and could probably last for generations. It is made of durable die cast construction with secured and stable couplings in the front and in the rear part of the train. This next product item on the long chuggington characters list is named Calley. It is a unique train car made of strong wood. As you see in the picture, this toy is built with great craftsmanship. It has a nice yellow and green finish which makes it bright and fun to look at. 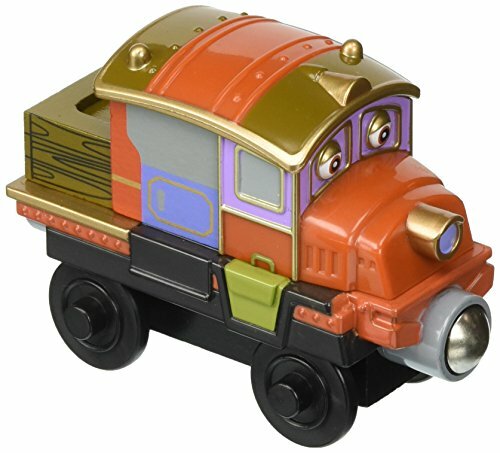 The toy was installed with an easy-to-connect metal and magnets at both ends to promote and provide great train toy connectivity with other wooden railway collection. This is a speedy train, McAllister. 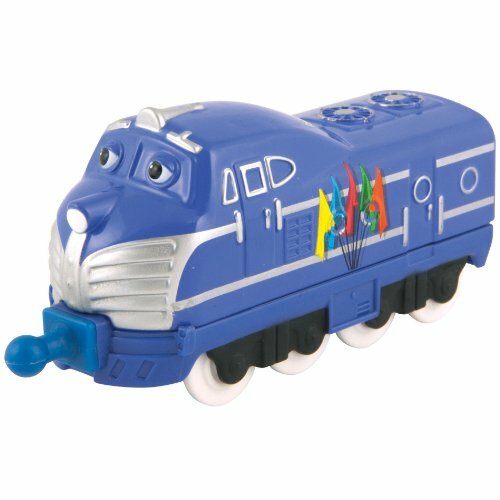 It is a fast and strong train character in the Chuggington series. McAllister has a nice purple color and bulky design. The toy itself is detailed perfectly based on the actually design of the character. 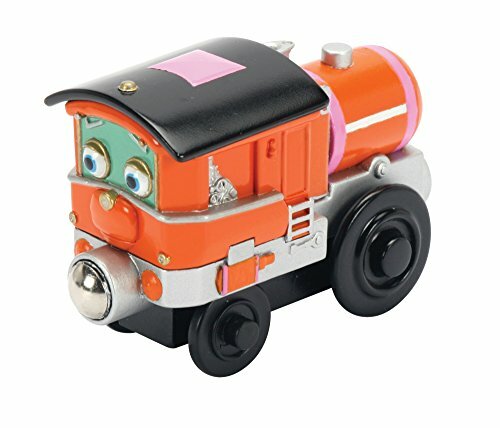 You can have this wooden speedy McAllister toy, easily connected with major train toy brands due to its magnetic couplings. The price is also reasonable and does not go far beyond your budget. 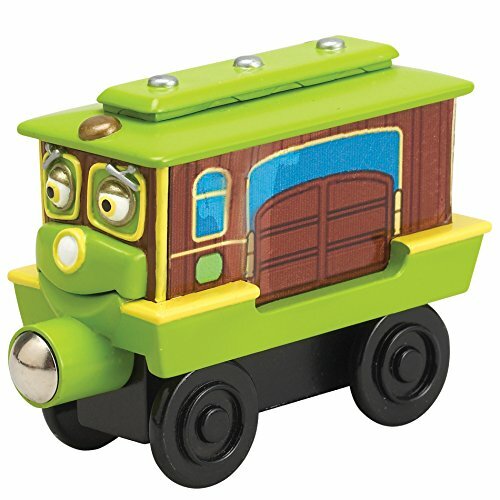 TOMY introduces to you a nice chuggington wooden railway train toy, Hodge. 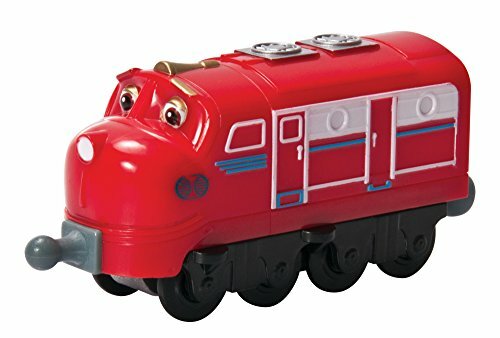 This toy is inspired from another train character in the series. Stack track or Wooden train toy, Chuggington’s train collection are highly affordable. It is to give you a chance to collect all animated train series characters without having to exert so much financial effort. Most of their designs and creations also work great as a gift or present for kids with a fascination for trains. Grab this Chuggington characters, toy train now as there are only a countable amount of stocks available. This stacktrack train toy is called Daley. It is a wheeled, bullet train with a speedy and awesome design. It is also manufactured with a facial expression based on the actual character in the train series. It is built with great stability. The train toy does not slip through or derail as it runs on tracks. The couplings also do a great job in keeping a stable connection with other stacktrack train toys. TOMY introduces to you, Payce, another great and beloved character in the long list of chuggington characters names. Payce is made to run through tracks without budging even in tight turns and in great speed. 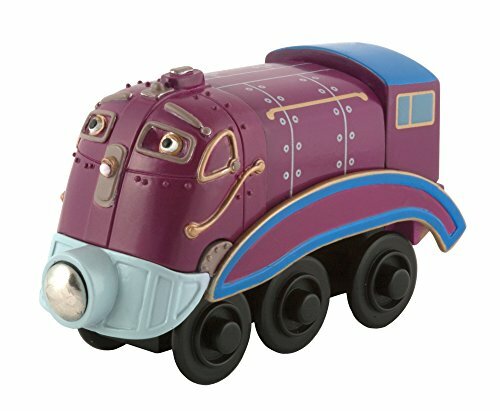 The aesthetics of the train is a close copy of the actual train character in the series. It also has with in it, the right facial expression of the character. Add this train toy, for a great and reasonable price, to your kid’s collection of Chuggington stacktrack. This is a stacktrack named, Dunbar. 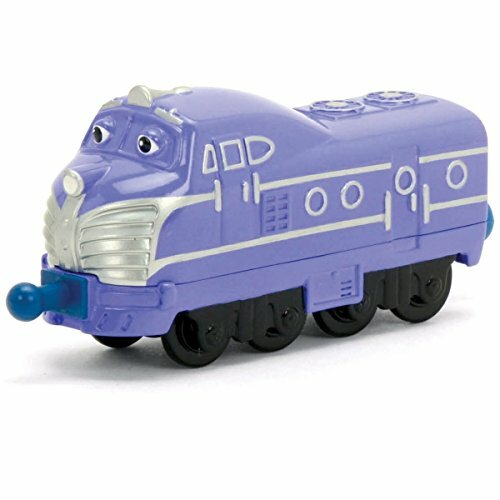 An iconic train character in the Chuggington children’s train series. All the materials used to craft Dunbar are high quality materials, all of which are die casts. The wheels and train car performs exceptionally. It has realistic and comprehensive decorations. The couplings are stable and strong. It can hold up a long line of train cars without experiencing any disconnection. It is also a perfect fit and can run through standard stacktrack train tracks system. This is an Irving’s Rubbish cars. It works perfectly to be connecting with Irving, the train car. The set comes with two pieces of durable and die cast material made cars. Both of which have strong and durable plastic couplers at the front and back. It can extend the fun to your child’s existing stacktrack train set as it can easily connect and is compatible with stacktrack railways. The next product item on the list is Chugger. It is a speed train, colored in red and yellow. The bright and vibrant train is a stacktrack collection with a smooth finish and cool design. It has realistic decals. 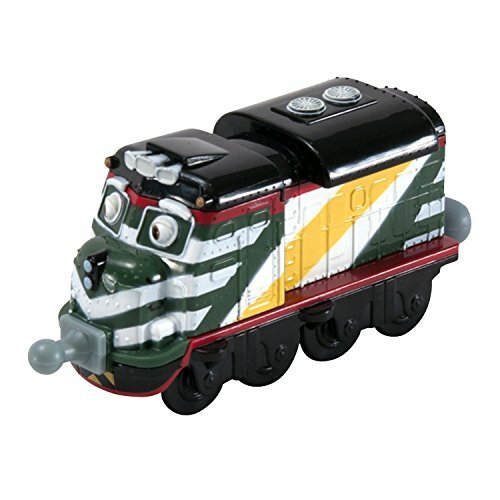 The train toy is made from durable and long lasting die cast materials. It is very strong and sturdy. The price is also very reasonable. 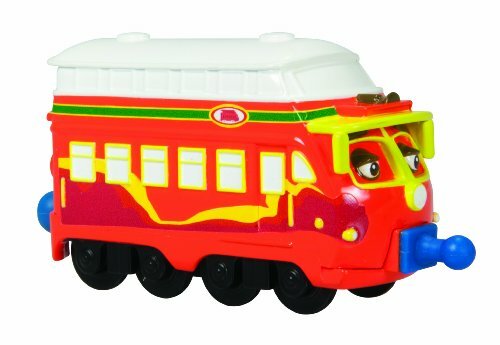 TOMY gives you a chance to collect all possible train character toys from Chuggington. 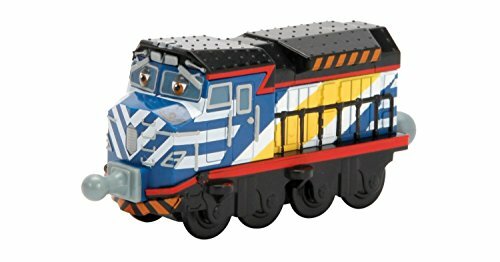 Introducing to you, Harrison, another great and fun character in the train series, this is a Chuggington stacktrack with design and colors, fitting for both genders. It can be a great toy for boys and works perfectly for girls too. It is a close copy of the actual Harrison train character. Although the train toy looks simple, the color brings out the catchiness and attractiveness of the train. TOMY brings you Decka. It is a Chuggington Stacktrack car collection based on the actual character in the train series. It has a tall height and large size compared with other stacktrack train cars. This can be easily secured and stably connect with other stacktrack cars due to its strong and durable couplings made from hard plastic. The design is realistic and uses great bright and shiny colors. Wooden railway toys are credibly durable. They can provide fun and entertainment for generations. This one of the many chuggington trains characters. 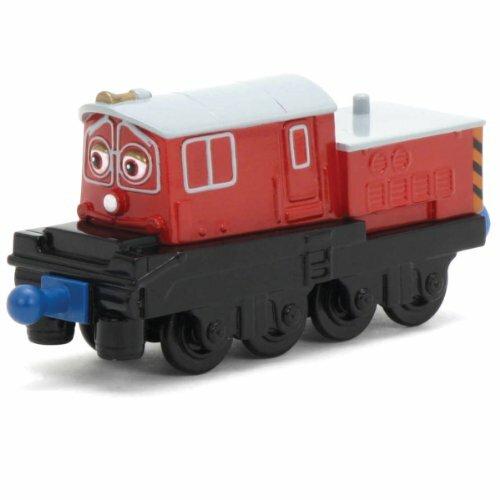 TOMY introduces to you, a famous chuggington train character, Olwin. It is a great wooden train toy made from hard and durable, kid-friendly, wood construction. It uses simple and easy-to-connect magnet couplings to maintain a wide open option of train set expansion. The next item on the list is Cormac. It is a chuggington stacktrack car with credibly strong and sturdy construction. 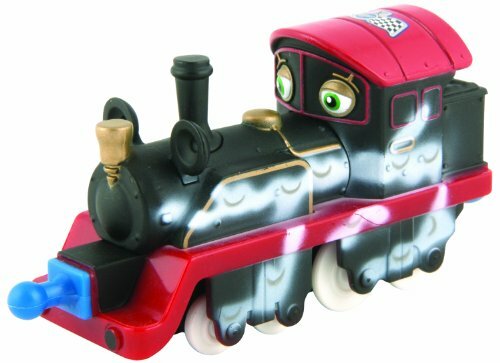 The train toy is made of die casting materials such as metal, rubber and plastic. It fits perfectly on the stacktrack railway tracks and firmly holds its ground while running through tight turns even in high speeds. It has great realistic design and shiny finish colors. There are two durable plastic couplers in the front and back for providing easy and stable connectivity with other train cars. The last Chuggington train toy product in our long list of train toys would be Chugger – Championship Harrison. It is a stacktrack train made of die cast construction with perfectly elegant and highly comprehensive details. This toy train is actually the most expensive toy in the list. It is a great collectible for both adult and children train lovers. 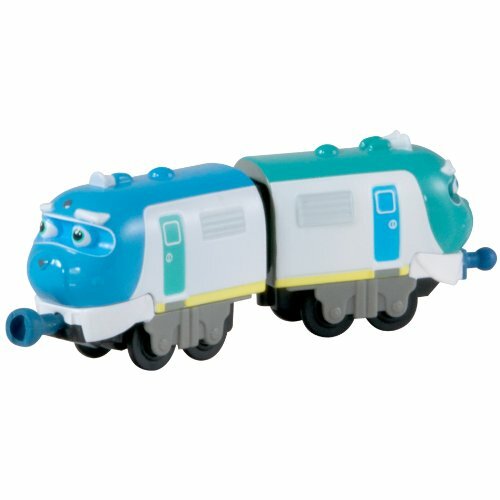 This is also a perfect gift during the holidays or a souvenir for a friend or relatives that are a fan of Chuggington. 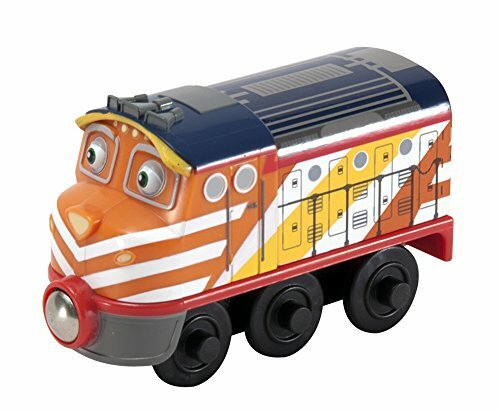 The train toy has realistic and not at all cheap design and color. It is very attractive and pleasing to the eye. The sturdiness and durability of the toy are of a higher level. The toy actually has a perfect rating on amazon and highly recommended by most satisfied customers.